Now I know that headline is rather titillating but it's not quite what you think. The Vintage Style Workshop I modelled for last weekend which was organised by My Vintage Vow and held at Kitty's Vintage Kitsch & The Shop That Time Forgot was extremely informative and covered a great range of information. A whole section was dedicated to foundation garments (thats unmentionables to the uninitiated). More commonly known as 'shapewear' these days, foundation garmets were the underthings women wore to help complement and enhance their shape under their clothes. However, it wasn't as simple as some 'sucky inny' undies...foundation garmets were a whole repertoire of boned, elasticised and smoothing shapers. 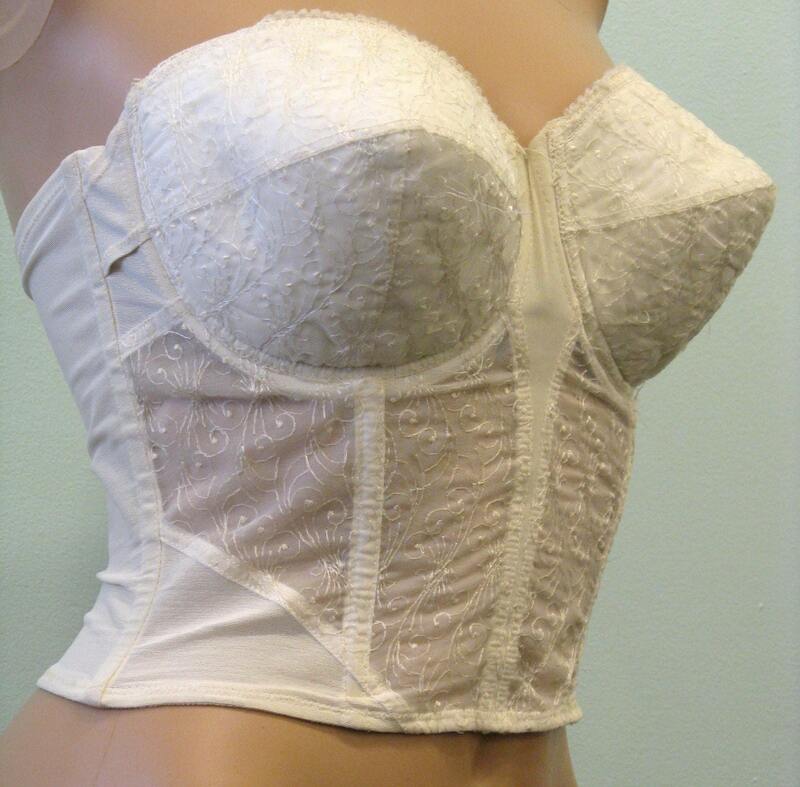 Beginning with a longline bra that was designed to provide shape, fit and support all the way down to the waist, most connected with hooks to girdles which used a combination of strategic panelling and firm elastic to smooth, shape and contour the stomach, hips and thighs. Don't forget under your girdle you'd be wearing your underpants and then on top of that, your stay up stockings would clip to a suspender belt or clasps on your girdle. Add over the stop of that a full slip to smooth any shapes or outlines from the hardwear of your foundation garmets and I bet you're already feeling hot and bothered. And of course, no 50s female fashion was complete without her frock and petticoat. So let's just think about that for a second. To get to the goodies of your gal underneath, you first had to get through the dress itself and the crinoline petticoat before you could even start on the slip or the clips and hooks and zips and laces of stockings, girdle or longline bra. And for goodness sake don't mess up your order of attack or your lady in waiting could be stuck in there forever! Seriously though, I'm actually a little jealous. All the waiting and the undoing and the suspense and the relief (oh the relief!) of everything being released sounds like an exciting way to get worked up.